Chandra Ambadipudi, Chief Executive Officer, Clairvoyant discusses the potential for AI and Machine Learning in financial service. What is the difference between AI and Machine Learning? AI is the concept of machines performing tasks that are characteristic of human intelligence — it is the all-encompassing phase that is highlighted in multiple Sci-Fi movies like Terminator, Matrix, etc. The concept of AI is to address things like recognizing objects and sounds, learning, planning and problem solving. Today most of the AI used in a business context is specific to one area, it displays characteristics of the human intelligence in one specific area like sound, image recognition or problem solving. The evolution of AI to replicate multiple aspects of human intelligence is the next stage in its evolution and that is the focus of new emerging AI initiatives across industries. Machine learning in its most basic form is a way to achieve AI. Machine learning is a way of training an algorithm so that it can learn how to learn. The training here involves feeding large amounts of data into an algorithm and allowing the algorithm to adjust itself and improve. 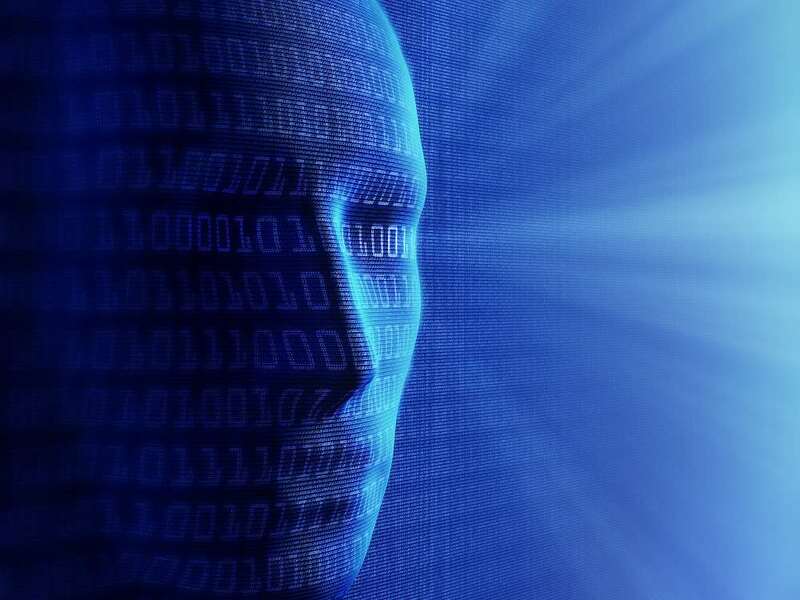 To further expand on this, AI can be achieved without machine learning by writing significant amounts of code or programs, but today machine learning algorithms make the process of creating AI-based applications much easier than through manual processes. What are some of the common misconceptions about AI and Machine Learning? People often think that Artificial Intelligence (through machine learning) will replace their job functions completely and perform at a higher level than humans, or that AI has human-level emotions and intelligence. Naturally, these stem from a misunderstanding as to what AI can truly do. While it is capable of processing large amounts of data very quickly, it’s certainly not at human-level in terms of judgement and perception. There’s also a misconception (often fueled by sci-fi movies) that AI applications will suddenly become sentient. AI could certainly become destructive, but not at the level often portrayed in Hollywood. A final misconception is that AI is a silver bullet. AI can solve for a lot of things, but there’s not one magic algorithm that can solve everything. Most AI applications need to be built and implemented for a specific purpose based on the industry and company. What are the current applications of AI and Machine Learning in banking, finance and insurance? More and more institutions are utilizing automated processes, and AI is currently driving some of the biggest industry changes in banking, finance and insurance. By making frequently performed duties automated, AI makes it possible to focus on higher level objectives. You see this in tasks such as document management, where it reads through documents, including forms, contracts, etc. The BFSI (banking, financial services & insurance) industry today is also regularly employing chatbots with AI-driven responses rather than having live customer service representatives respond to consumers, saving a great deal of both time and money within customer management. AI is also currently being used to decrease friction by improving workflows and decisioning processes. It is capable of creating models for previously manual procedures — there are two specific use cases of this in BFSI. The first is creating risk management models for lending and credit risk management; the second is in fraud prevention, where AI systems identify, track and flag potential threats. How does it help with data and risk management? AI can help with every step of the data and risk management process; this happens through creating AI-powered models for the specific purpose of risk management. In risk management, early detection is key, and AI is capable of recognizing risk patterns remarkably early. It utilizes multiple data sources to take a more comprehensive view of the risk assessment. Once the risk is identified, there are significantly faster response times, and a reduced impact of failure. AI also supports the very foundations of data and risk management in increasing accuracy and speed of reporting, data and overall business. This boils down to is a more precise, efficient process of detecting and mitigating against risk in banking, finance and insurance. What are the key benefits to BFSI and their customers? AI and machine learning can provide a number of tangible benefits to BFSI. The four key benefits to BFSI and their customers are: better customer experience, significantly better risk management and tracking across services, reduced costs through better efficiency, and reduced time to market. What are the potential future applications of AI and Machine Learning in the finance world? As AI and machine learning technology continues to develop, the opportunities for applications in the finance world are significant: from customer service to data security. In the future, AI will provide much better customer experiences across services offered by finance companies. Gartner predicts that by 2020, 85% of customer relationships with an enterprise will occur without interacting with another human. AI driven management of individual BFSI portfolios is one way in which AI can be leveraged to enhance the customer experience. Another is through managing AI services by voice on the customer’s mobile device — the BFSI “Siri”. AI and machine learning will also have implications for the back-end of the finance world, beyond customer experience. AI is already being applied widely to protect against security threats and data breaches and can be implemented to significantly lower the risk against these threats. It will also lead to better predictability, for example decisions around credit and consumer lending, thereby lowering risk to the bank or financial institution. 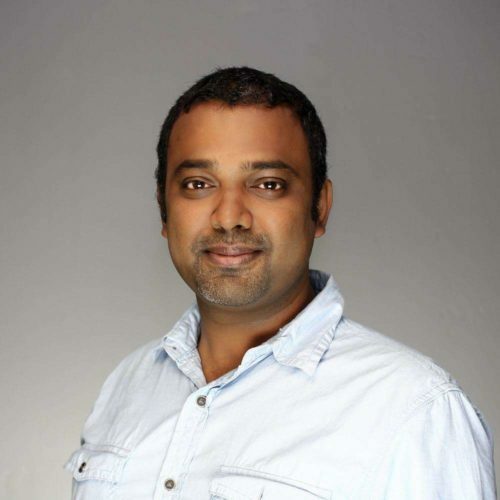 Chandra in his current role as the CEO of Clairvoyant, co-founded the company in 2012 and has driven the company to become a leading big data player with multiple Fortune 500 customers today. A highly motivated senior leader in software engineering with a proven track record. He also co-founded BlueCanary Data, a predictive analytics product company focused on higher education, and lead it through a successful acquisition last year.